Delicious, tropical........ home decor. Three words that come to mind when I think of coconuts. 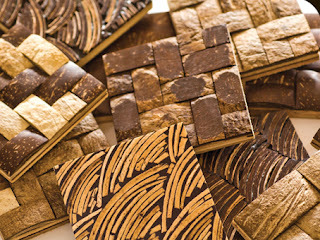 Kirei Coco tiles are beautiful and sustainable. Made from reclaimed coconut shells, low VOC resins and a sustainably harvested wood backer. 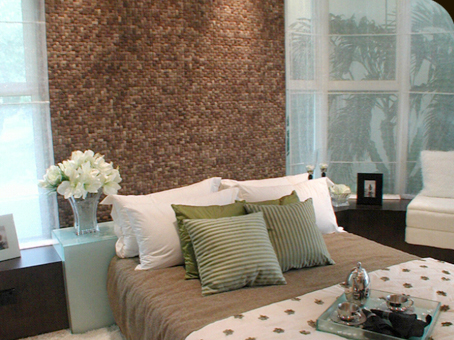 These tiles can be applied to walls for a unique wall finish. The perfect way to add texture, color and piece of mind to your home. Find it at Kireiusa.com.